Book Club for Baby Addison! Tonight’s book club was not so much about our past book, The American Wife, and more about celebrating Jody’s baby (who will be here in May!!). 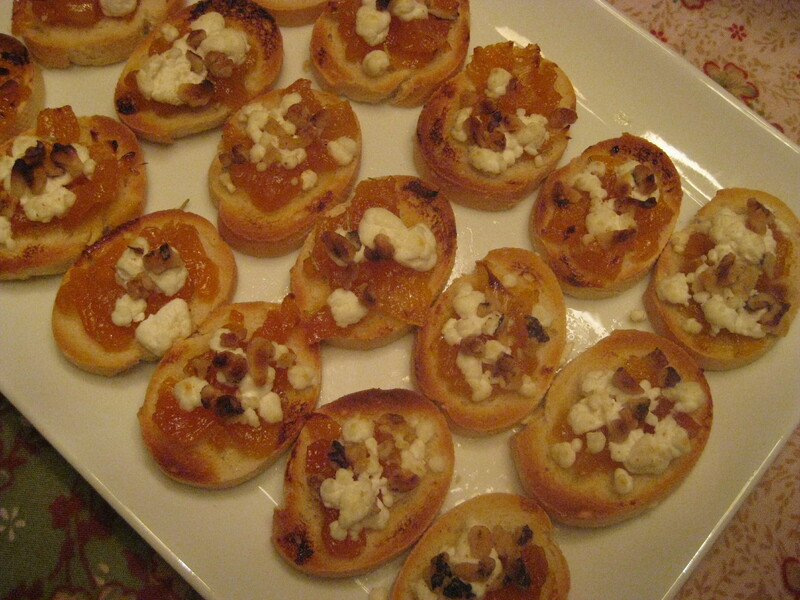 We had of the party essentials, including favors, cupcakes and a healthy dinner. Cookies made by Jen and I!! Trying to tie the book club into the shower. 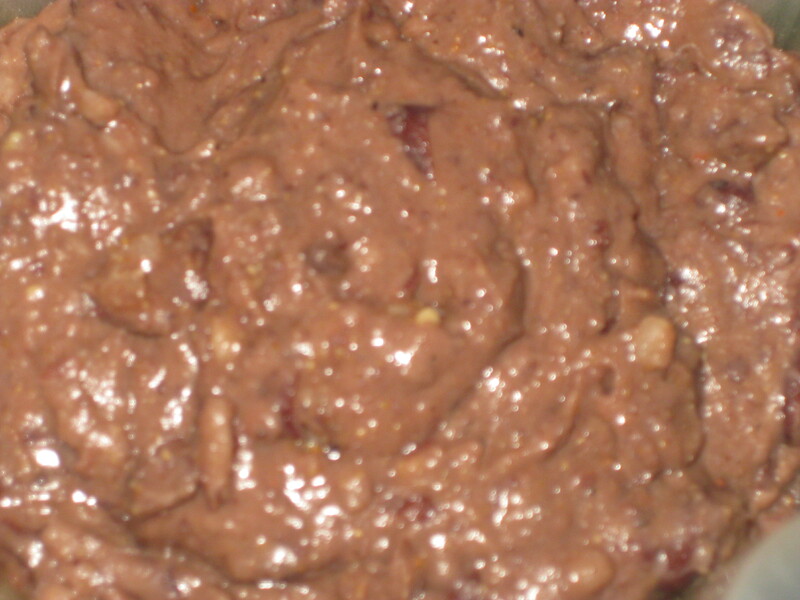 My black bean/kidney bean dip with fresh veggies! Sarah’s warm wheat flatbread with parm and feta – AMAZING! 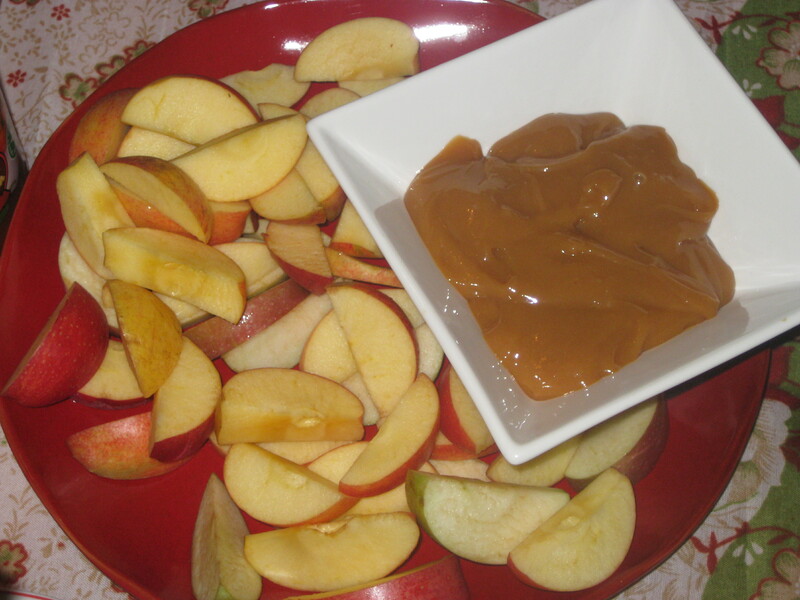 Natalie’s Apple Almond Butter with whole wheat tortillas – Great Idea! And somehow I missed the grilled chicken we made. Brady did a great job with the grilling and the simple/sweet marinate was perfect on it. I have a LOT of baby showers coming up so if anyone has any good ideas for hosting, let me know!! I felt a little better today. No more getting sick and but the coughing has not stopped. I am planning on going to school tomorrow, so we will see how it goes. Tonight, after much rest and medicine all day, I decided to make some things to take to Chicago with us tomorrow. I went with the tailgate theme, since we are going to the Ohio State game on Sat. and will be hanging out with friends and fam all day. 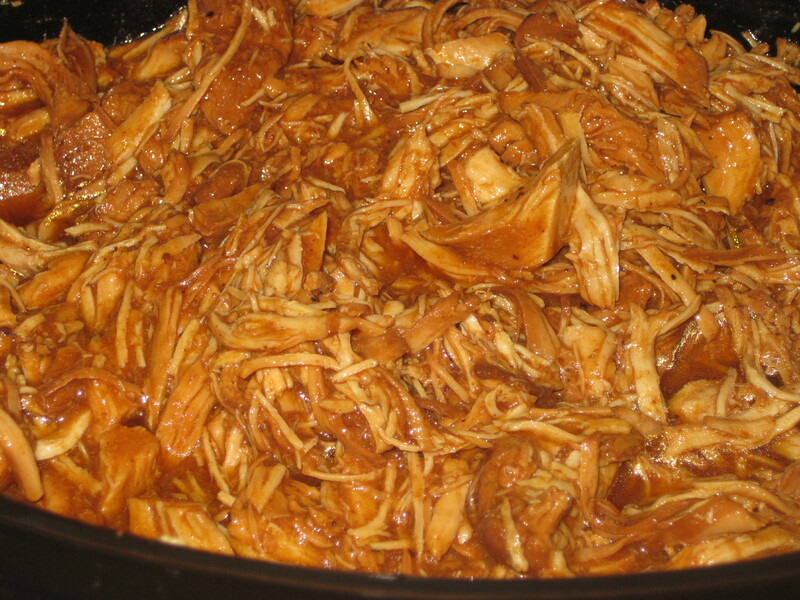 Make sure ALL of the fat is is cleaned off the chicken and place it in the crock pot with the pop and bbq sauce. Let cook for 6-8 hours on high. That’s it! Simple, low fat and perfect for a gameday. 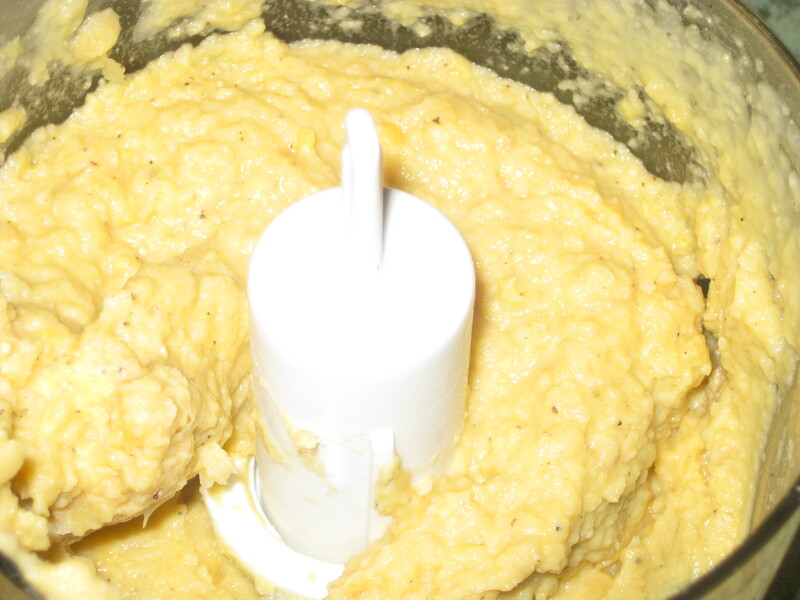 Mix all together in a food processor! Again, simple, low fat, full of fiber and protein! 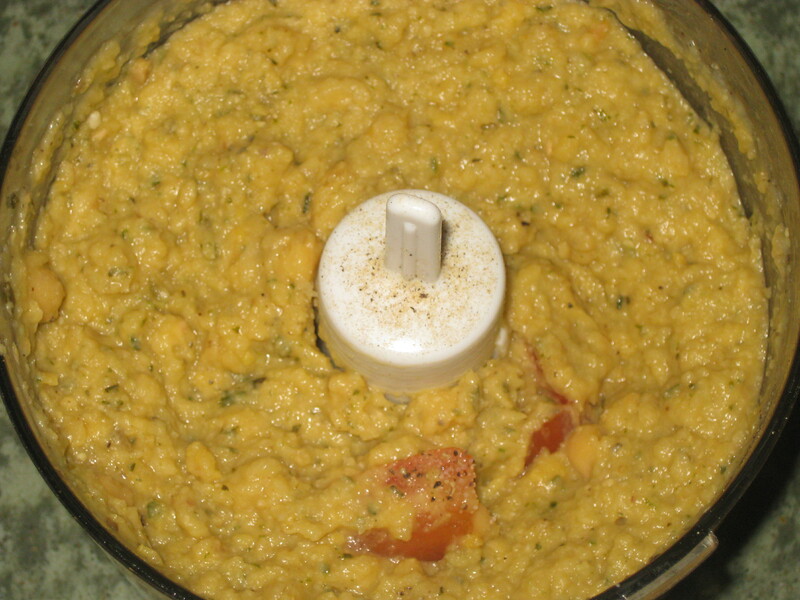 Mix all together in a food processor. Note: this is not a pretty dip, I don’t recommend taking to a party where you don’t know the people 🙂 Save it for your friends! To go with these treats, I packed some fresh veggies- peppers, celery and carrots, plus crackers and rolls for the chicken! Last night was our monthly book club meeting at my house. We just finished reading Water for Elephants, which we all agreed was good, better than we expected from reading the back cover. If you are looking for a good book to take on vacation or when you have some extra time, we recommend this! It is interesting and keeps you entertained while giving you insight into something your probably don’t know much about – the circus! Our next book: Time Traveler’s Wife. Any thoughts on this? 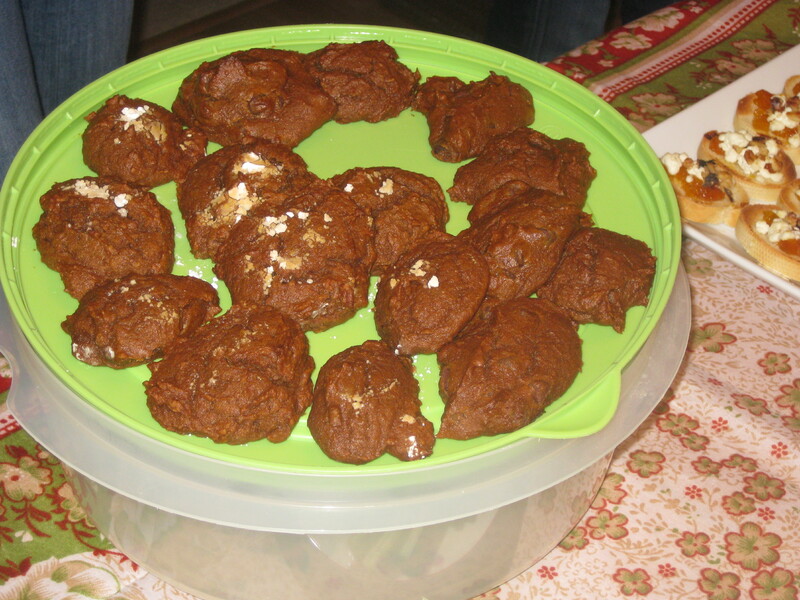 Michelle’s amazing pumpkin cookies! I will try to get the recipe! Sorry for the missing posts over the past few days. My life is back to a routine now, so I will be back – starting now! We have had our best friends from college in town, so we have been running around like crazy! It has been great and I don’t want them to leave. Tonight we have a big party to go to so I will post a few pics, tomorrow! Onto lunch! After running and going to the farmers market, Hallie and I went to Costco for produce and then the mall. We did some damage, both finding new outfits for the party tonight! We were starving when we got home because our TJ Fiber Twigs with blueberries were no longer holding us over. 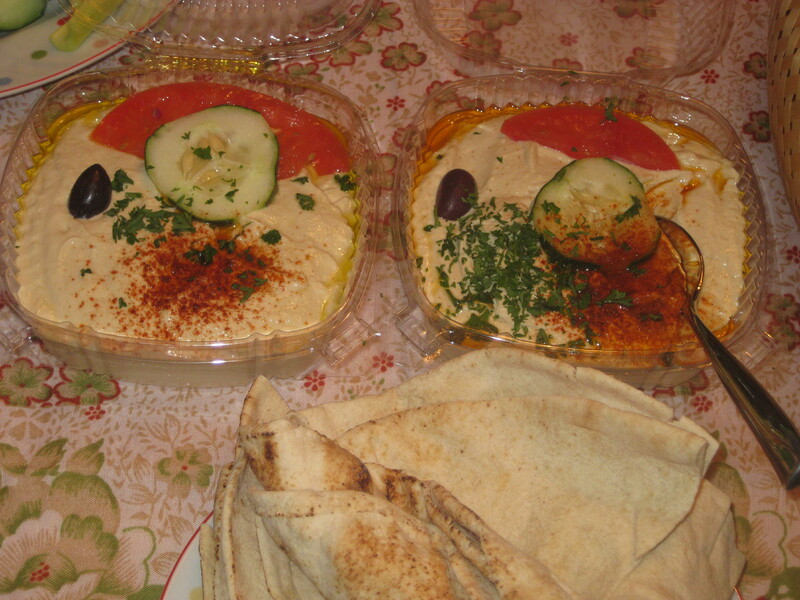 I thought we had hummus and had planned on making veggies sandwiches, but we didn’t so….I had to whip some up! Spread on my veggie sandwich. We also had a spinach-berry-goat cheese and almond salad. So delicious!